1500 km away, in Sicily’s south-east, Gaetana Jacono runs the Valle dell’Acate winery. She is bringing to six generations of wine making tradition new production technologies and distribution approaches that are developing exports to large new markets. Enterprises like Brembo and Valle dell’Acate have helped Italy in recent years gradually recover from its extended recession. These are mostly medium sized enterprises that are highly productive and have grown activity and created jobs though investment and exports, supported by government policies such as the Industry 4.0 programme or labour market and education reforms. 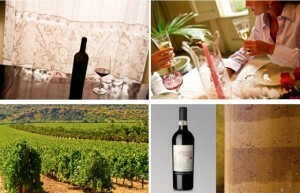 Vinitaly will offer us the opportunity to present our wines, new vintages and and the novelty: IRI DA IRI. From 7 to 10 April you can find us at Vinitaly 2019. Also this year Valle dell’Acate takes part in the Merano Wine Festival from November 10th to 12th. You can find us at the Goethesaal, 311. – MiniVerticale with Frappato Vittoria DOC with vintages 2018 (preview), 2017, 2016, 2015. – “Old vintage” tasting of a fine wine with the Cerasuolo di Vittoria DOCG Classico 2006. From 15 to 18 April you can find us at Vinitaly 2018. From 18 to 20 March you can find us at Prowein 2018. You find us in the Merumpress, Halle 16, Stand E71. I love music, I listen to it whenever I can, at any and all hours of the day. a program which probes with great intelligence the language of contemporary music. 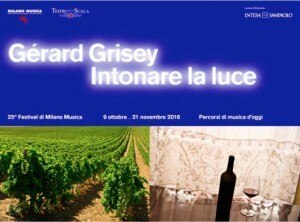 INTONING THE LIGHT is the theme which, this year, through the presentation of French composer Gérard Grisey and some of his new pieces, played for the very first time, wishes to draw attention to its innovative musical thought. One which subverts the paradigms of the structuralist vanguard through an exploration of the intrinsic nature of sounds, a sort of immersion in an unknown world made of infinite sonic perceptions which then flow together to form a fully finished sound. Valle dell’Acate will supplement three concerts on the 6th, 7th, and 14th of November with a tasting of wines which accompany perfectly the character and the sounds of a musician whose dream is to intercept the deep pulsations which link the forms of nature to the forms of art. I immediately, and again through a collaboration with Milano Music, gave my support to the Music Fund project and in this way added Valle dell’Acate’s contribution of solidarity to the transport of musical instruments to Mozambique. I am fascinated by the subtle thread which joins together music and the sea in a web of sounds, pauses, and silence. to bring to its conclusion an important project. the wine which is a distinguished marriage between the elegant Nero d’Avola and the fragrant Frappato grapes. It is certainly a wine which goes wonderfully well with the cuisine of distant countries as well (an excellent match with spicy dishes) and embodies a modern way of drinking, fresher, less concentrated, one in which a wine should go hand in hand with the plates without ever dominating them. When I say wine, I am also thinking about food, about conviviality and, immediately after, culture. I am thinking about a glass of Cerasuolo di Vittoria which brings together persons who, sitting together at a table, exchange ideas and opinions and tell stories between one glass of wine and the next, creating invisible ties which join them together. Wine carries in itself a message of culture, a message which recounts the history of a place and brings back a time before that precise bottle existed. The bottle is an intermediary, a bond which brings together different cultures, creates an encounter between them, and allows them to know one another and receive, mutually, knowledge and understanding. This is the way I interpret my role as Brand Ambassador to Italy and to the world of Cerasuolo di Vittoria DOCG and of the territory of the province of Ragusa.